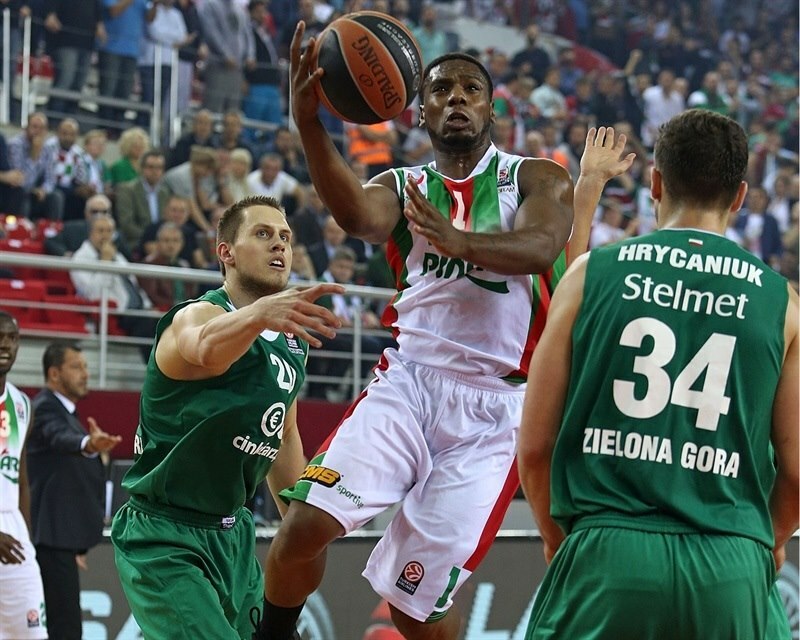 Pinar Karsiyaka Izmir recorded its second win in Group C by downing Stelmet Zielona Gora 77-66 at home on Friday. 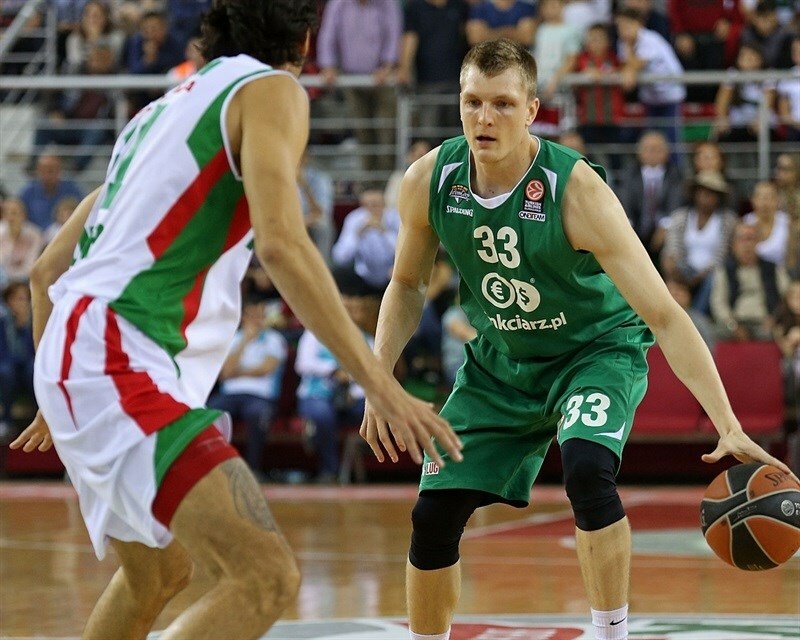 Karsiyaka improved to 2-3 in Group C, while Zielona Gora dropped to 1-4. 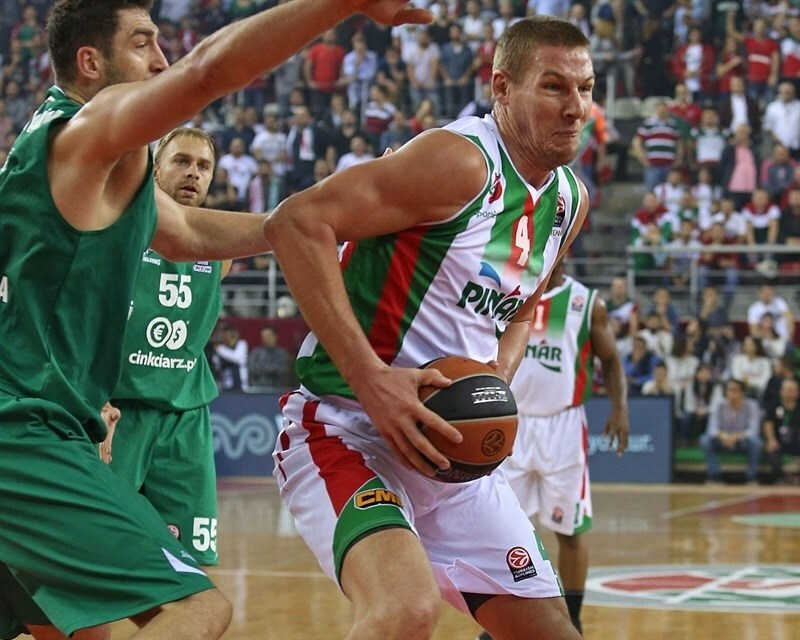 Colton Iverson paced the winners with 15 points. 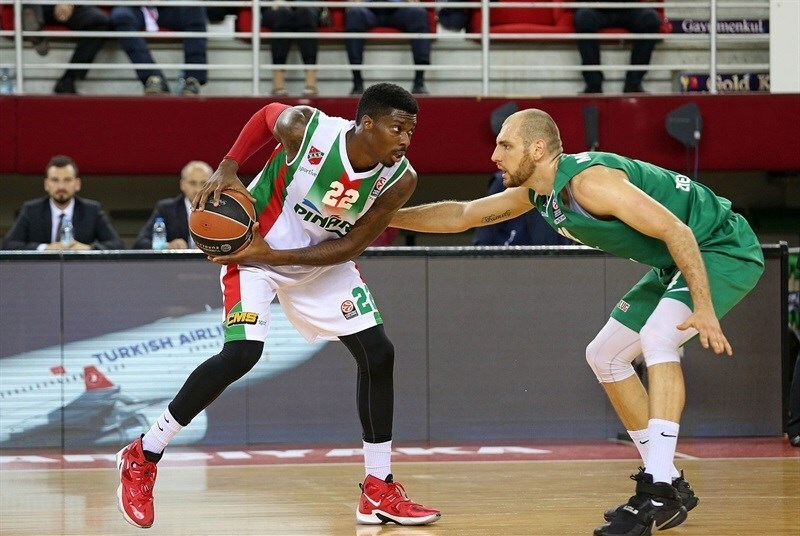 Can Altintig added 13, Kenny Gabriel and Joe Ragland each had 12 while Juan Palacios got 10 for Karsiyaka. Nemanja Djurisic led Zielona Gora with 16 points. Vlad Moldoveanu and Lukasz Koszarek each had 13 while Mateusz Ponitka pulled down 12 rebounds for the guests. 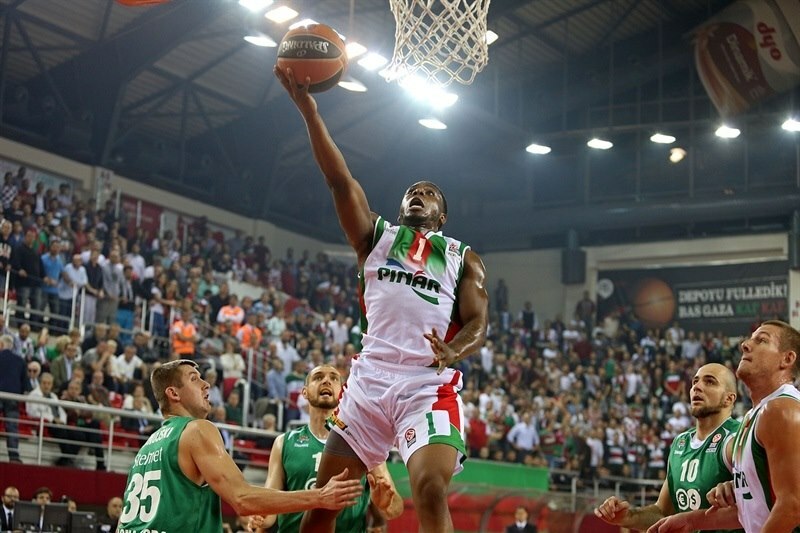 Iverson shined early and got help from Ragland and Gabriel to give Karsiyaka a 21-16 lead after 10 minutes. A corner three-pointer by Kerem Gonlum soon made it a double-digit game, 30-20, which Zielona Gora cut to 36-28 at halftime. Karsiyaka improved its defense after the break and found a go-to guy in Palacios, as the hosts boosted their margin to 57-41 and held off Zielona Gora's rally to claim a well-deserved win. 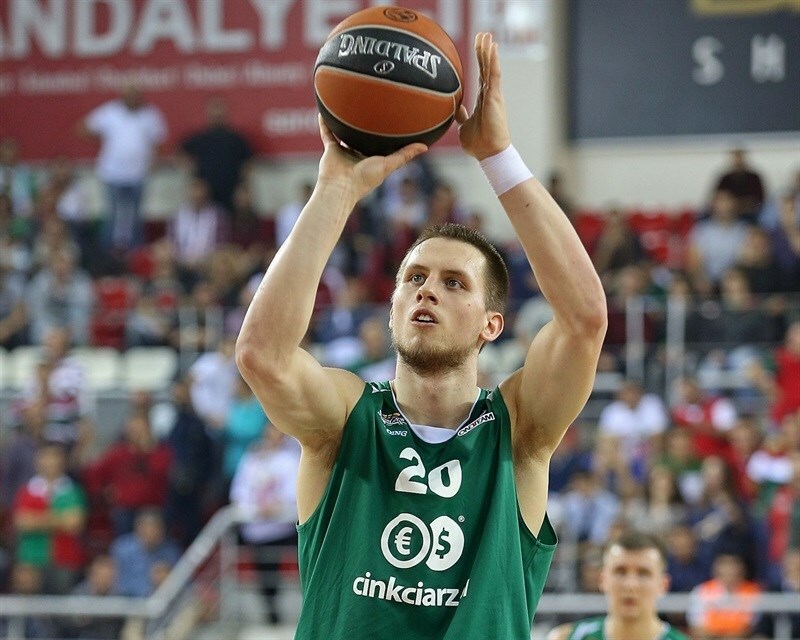 Koszarek got Zielona Gora going with a three-pointer, as Karsiyaka was held scoreless for almost two minutes until Iverson ignited the crowd with a two-handed slam. Vlad Moldoveanu fired in one from downtown, which Iverson matched with an off-balance layup - and the free throw that came with it. Joe Ragland followed free throws with a driving layup to give the hosts their first lead, 9-6. Koszarek took over with a wild driving basket. 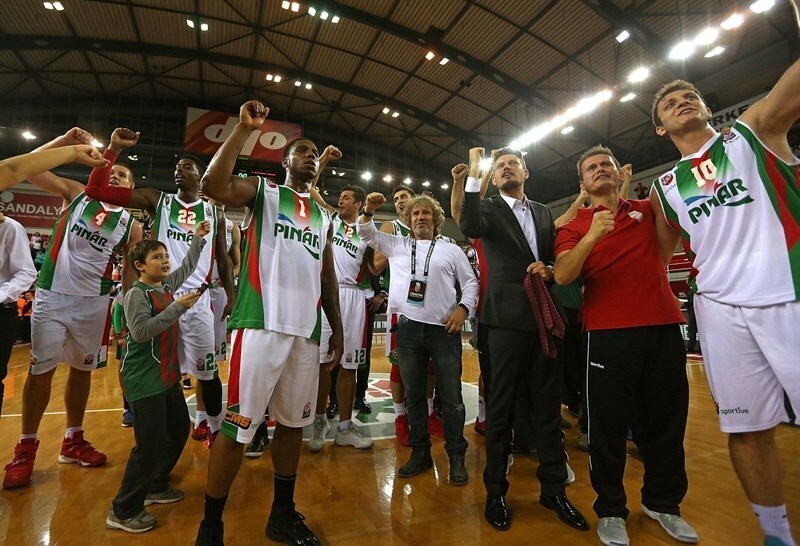 Iverson made free throws and Przemyslaw Zamojski buried a three-pointer for an 11-1 tie. Antintig shined with a driving layup and another triple by Koszarek put Zielona Gora ahead, 13-14. Ragland hit foul shots and Kenan Sipahi scored off a steal for a 17-14 Karsiyaka lead. After Sipahi buried free throws, Ponitka answered with an up-and-under layup. A wild alley-oop dunk by Kenny Gabriel restored a 21-16 Karsiyaka edge after 10 minutes. Szymon Szewczyk stepped up with a backdoor layup early in the quarter, which Gabriel erased with a mid-range jumper for a 23-18 Karsiyaka lead. Dee Bost nailed a six-meter jumper, as Zielona Gora improved its defense with him and Karol Gruszecki as guards. 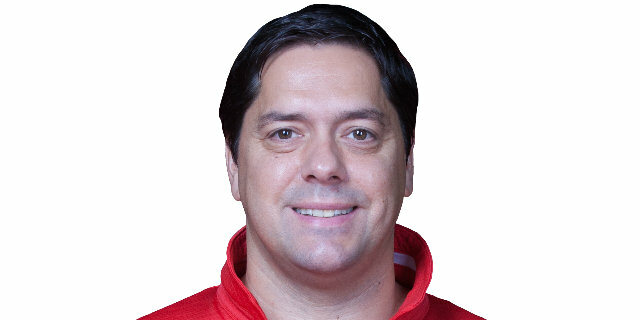 Karsiyaka called timeout after which Juan Palacios finished a four-chance offense with a layup. Palacios scored again and a corner triple by Gonlum soon made it a double-digit game, 30-20. Zielona Gora had been held scoreless for more than five minutes, during which it missed 6 shots and committed 4 turnovers until Ponitka made free throws. Altintig struck from downtown, but he didn't find much help around. A three-pointer by Moldoveanu gave Zielona Gora hope at 33-25. Gabriel rescued the hosts with a bomb from downtown, but Zamojski joined the three-point shootout to keep Zielona Gora within 36-28 at halftime. Gabriel struck from downtown immediately after the break and a dunk by Iverson made it a 13-point game. Moldoveanu sank his third three-pointer, but Ragland answered from beyond the arc for a 44-31 advantage. Zielona Gora tried to speed up the game tempo with two point guards, Bost and Koszarek, together on court, but the guests kept missing open shots. 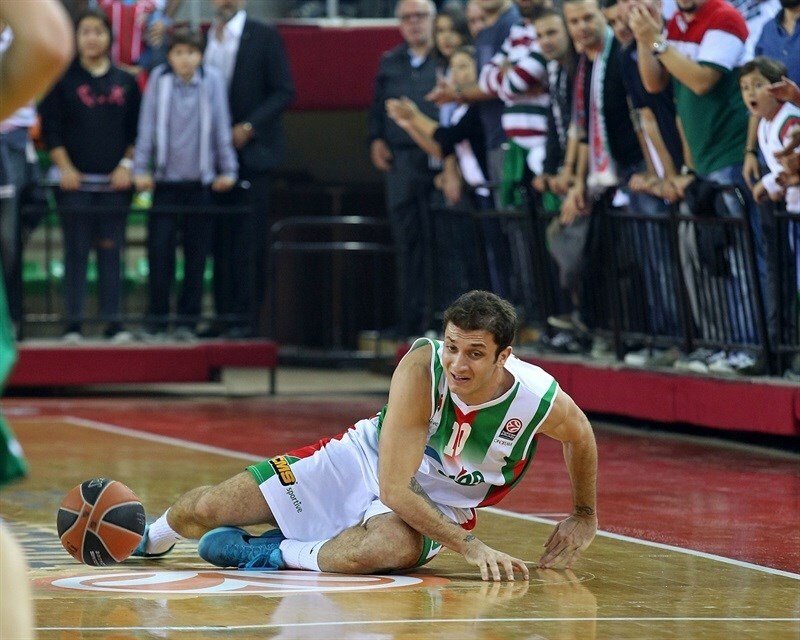 Karsiyaka ran its offense through Iverson, whose jump hook made it 46-31. Koszarek buried a three-pointer off a timeout before Altintig made free throws. A jumper by Bost kept Zielona Gora within 48-36. Palacios shined with a tip-in and exchanged slams with Nemanja Djurisic. Bost fed Szewczyk for a slam and Josh Carter buried a three-pointer - his first one after 7 attempts - for a 55-40 Karsiyaka lead. Altintig ignited the crowd with a fast break layup and Bost split free throws to fix the score at 57-41. Muhammed Baygul and Djurisic traded three-pointers early in the quarter. Djurisic scored around the basket, but Gonlum matched that with a tip-in and fed Palacios for a layup that sealed the outcome at 64-46, with over six minutes left. 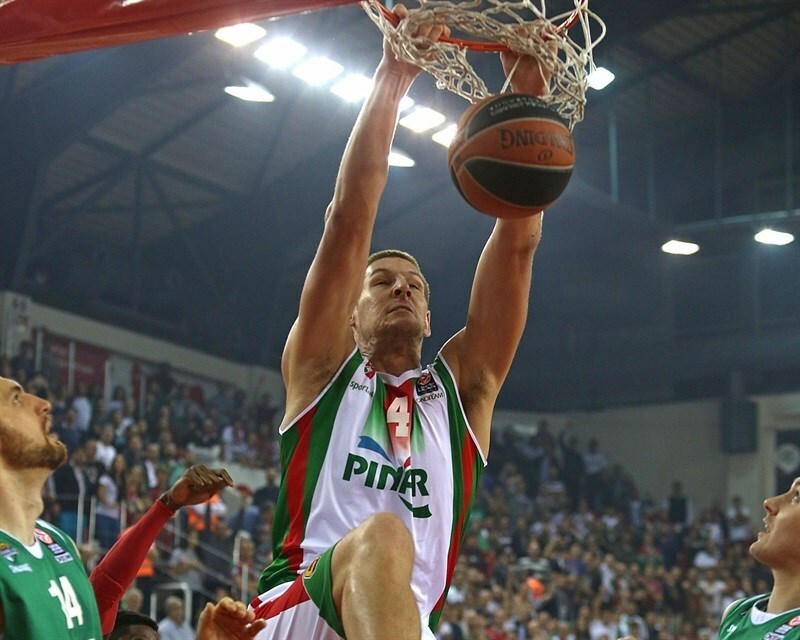 Djurisic kept pushing Zielona Gora with an off-balance three-point play. Altintig scored again and a jumper by Voldovanu kept the guests within 66-51. Ragland buried a three-pointer, but Ponitka and Koszarek brough their team closer. 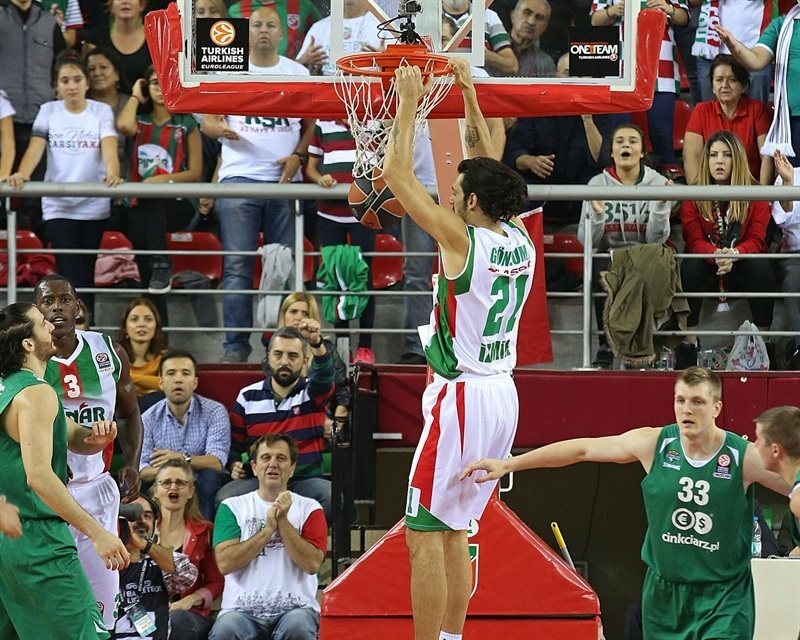 A backdoor layup by Moldoveanu caused Karsiyaka to call timeout at 69-57. Adam Hrycaniuk split foul shots, but Iverson quickly answered with a put-back slam. Zielona Gora never gave up, but by the time Iverson dunked again, the Karsiyaka fans were celebrating a well-deserved and important home win. "First of all, we had to win today for the rest of our Euroleague. They defeated Panathinaikos and they had very good performances in other games against Kuban and Barcelona. That's why it was very important today. We were very good on defense, especially in the paint. We pushed Stelmet out and they tried to shoot many three-pointers. The general performance of team was good. Josh was also good, but he could do better. Can's contribution was very important. Today, Justin wasn't with us, that's why such contributions were critical for us. Joe had also a very good performance, but it has to be more sustainable." "Congratulations to Pinar. They were the better team today. Although we tried to play with energy and my players fought very well, it was not enough. Pinar's players were really rebounding over the rim. They got many tip-ins and offensive rebounds. This was our first minus in this game. Second, we lost control of our passing game on offense against the good and quick help defense of Pinar. We were not patient enough to find open men, made too many turnovers and lost court vision. So congratulations once more to Pinar. We have to learn from this game how to play away against such an athletic team as this."